I love each and every colour in this palette and I think I will reach for all of them as part of my everyday make up routine. I have messed around with the palette and there are some really pretty looks you can make with these colours. Suitable for both the day and the night time. The darker colours are more pigmented than the light shades but the lighter shades are still really good! Don’t be put of by that at all. They seem to have a really good staying power too! When I put the colours on my hand for the swatches, I left them on my hand for ages and wiped them off with a piece of tissue and they barely came off at all which is amazing. The popularity of these palettes in the blogging world has also meant that there are a million and one tutorials on youtube and even blogging sites specifically using this palette. There is nothing worse than watching a tutorial only to realise you don’t have one of the colours. If you’re a beginner or looking for inspiration in how to use these palettes, have a browse on youtube and you will be able to find something to meet your level of expertise. 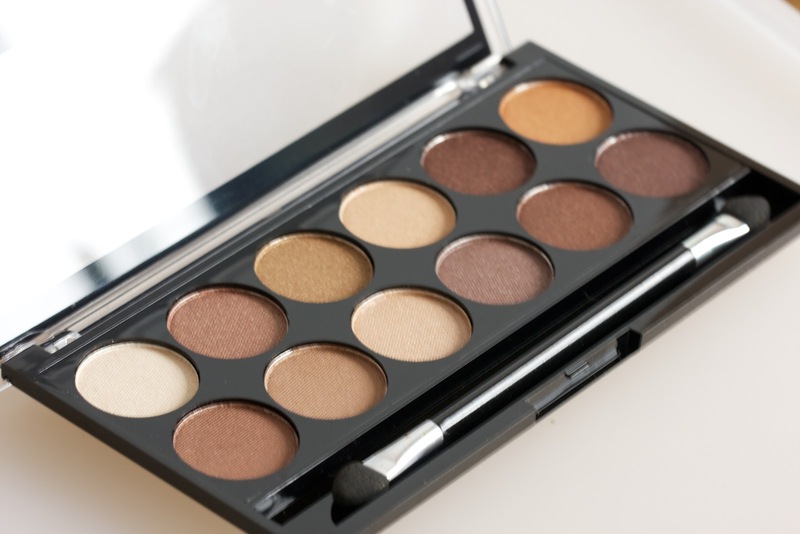 Have you tried any of the MUA palettes? What do you think? Any improvements I need to make to my reviews? Love the colours in the pallet! I already own this palette and the undressed palette and I've added the undressed me too to my to buy list! It's such a great palette, each shade looks great! I'd go out and buy the undressed palette also, at the price they are there's no shame in having both!! ← Motivational Words of Wisdom.